There are currently 23 states that have legalized some form of medical marijuana. Some of these states have even legalized recreational marijuana use but limits its people from driving under the influence. Congress and the president still prohibits the use of any form of marijuana and it is a federal offense to grow, possess or use marijuana. However, these states have enacted laws that could give their people freedom to use marijuana the way they see fit. Federal agencies have yet to prosecute minor marijuana offenses in these states meaning that the people’s will is respected at least for now. Florida is one of the Southern US states that have yet to legalize medical as well as recreational marijuana. But, this doesn’t stop marijuana campaign groups from pushing for amendments to decriminalize marijuana. Even though marijuana legalization legislation efforts haven’t fared well in Florida in previous years, there is increasing hope that marijuana will be legalized sooner rather than later. In 2014, a medical marijuana initiative placed by United Care was struck down in the ballot as it failed to gain enough support. However, there were enough signs to show that Floridians are ready to legalize marijuana use. Two Florida marijuana campaign groups known as Sensible Florida and Regulate Florida have joined forces and put across aproposed amendment to the state constitution that would decriminalize and control recreational marijuana for individuals over 21 years of age. These groups were started by Florida recreational marijuana advocates who believe that Florida residents should be given a chance to decide in the 2016 ballot if to make recreational marijuana legal. The Florida Cannabis Act proposes legalizing marijuana and regulating it just like alcohol. This would allow a person who is 21 years or above to buy and possess up to an ounce of cannabis. This however doesn’t allow driving under the influence of marijuana just like alcohol. The ‘Florida Cannabis Act’ would legalize recreational marijuana use just like in the state of Colorado where licenses-regulated system of distribution is in placeto ensure the cannabis is sold by legal organization and every adult has access to it. The Florida Cannabis Act also proposes that if marijuana legalization is passed then one who is over 21 years would be allowed to grow up to six cannabis plants in their own backyard. 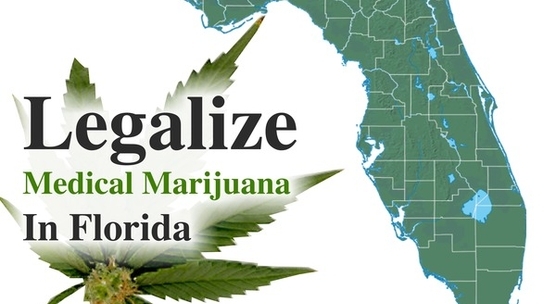 Florida residents can join the marijuana campaign by signing the petition being distributed by Sensible Florida and an associate group known as Regulate Florida. As much as Florida Cannabis Act looks like a longshot as far a marijuana decriminalization is concerned. The feeling in Florida is that it won’t take long before some form of marijuana use is legalized and this will be seen as the first step towards legalizing recreational marijuana. In 2015, the ‘right to try’ law was enacted allowing terminally ill patients with cancer and epilepsy to use medical marijuana. This is seen as a start of what has been a long journey for those who want marijuana legalization in Florida.